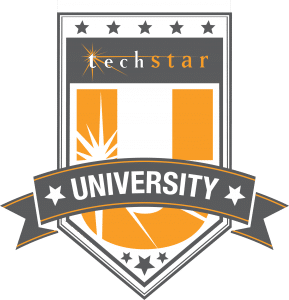 Through TechStar University, TechStar offers technical training courses on the various industrial automation solutions that are offered. These hands-on courses are continually taught in the company’s technical training centers in Deer Park (Houston), Dallas, Corpus Christi and Tulsa. These courses can also be taken onsite to any location and can be tailored to meet the specific needs and applications of any customer. Contact us for more information. "Your examples and scenarios helped in the learning process; very visual, thanks for your time in being well knowledgeable on those instruments." "Instructor very knowledgeable of typical field problems and how to approach problem for long-term solution." "I am new to radar level instruments and this training was very helpful." "By far one of the best training classes I have attended. Excellent job in communicating information as well as answering questions." "Good course. Recommend for all I/E techs"
"Excellent training. Appreciate the software. Appreciate the troubleshooting software (trends, etc.). Hands on made it stick." "One of the most practical courses I've taken." "Training will be very useful next time we troubleshoot / install radars or guided waves." Give your technicians the training they have been asking for to better work with the 3500 Series Machinery Monitoring System. If you are tired of calling the OEM for problems that are simple fixes, this training can make your technicians more capable of handling these problems. Many plants use condition monitoring programs to detect impending bearing failure. The vibration data collected can indicate that a bearing is failing. But detection is only the first step. Without understanding the true root cause of the failure, you run the risk of repeating the same mistakes. If that’s the case, the replacement bearing you install will likely meet the same fate. This one-day technical seminar to discuss real-world case studies of detected bearing failures. Presentations will highlight everything from initial data reports to the final damage analysis. The damaged/failed bearings – right out of the machines – are available for hands-on inspection. This class is designed specifically for maintenance or instrument shop personnel who will be maintaining, calibrating, and repairing MSA Permanent Instruments for use at their facility. This training class is designed for operators and technicians who have responsibility for VEGA radars or guided microwaves. The unique structure of this class is designed to give attendees the option to choose the class that is most applicable to the technology they use on a daily basis. Individuals will learn the basic and advanced start-up, operation, calibration and troubleshooting techniques needed to gain an overall understanding between the process and the measurement device. How to use liquid ultrasonic flow measurement instruments and software, and how to properly install, set up and troubleshoot clamp-on and wetted liquid flow instruments. Compatible with AT868, DF868, XMT868, PT868 and PT900 flowmeters. Have you ever had a problem understanding or utilizing Modbus? While the Modbus protocol has been around since 1979 with millions of active devices in use, Modbus is among the most misunderstood and problematic protocols in the field today. Our trainers have extensive field experience troubleshooting and commissioning Modbus devices. This course will allow the end user to learn and benefit from years of real life experience. This training class is for analyzer technicians and process engineers who want to walk away with a better understanding of the fundamentals of moisture measurement in various applications. Individuals will learn about technologies involved in making this measurement, as well as troubleshooting and installation tips for current and future installations. This training will help the technicians and engineers gain a deeper understanding of how existing nuclear measurements work in their process applications. How to verify proper installation of nuclear sources and instruments, communication, configuration of the instruments, how to interpret the reading from the instrument and troubleshooting. Training comes with free software. This new training will help technicians and engineers gain a deeper understanding of how radiation-based measurement interacts with various applications. How to properly install nuclear sources and instruments, communication, configuration of the instruments, how to interpret the reading from the instrument and troubleshooting. Training comes with free software. Why does TechStar offer training services to our customers? To improve customer experience: Customers who take advantage of TechStar Training Services have fewer service calls and fewer instances of system downtime caused by improper setup or maintenance. TechStar training classes minimize setup and troubleshooting time with the product, so customers achieve the best possible operation from their equipment. What impact does TechStar's training have on our customers? Knowledge is power: Our customers are more educated on their products because TechStar offers a support system for implementation of the product after the sale. Our standard and specialized training classes make it easy to set up and maintain instruments that function at their very best – improving setup, maintenance and uptime. Why do TechStar’s training offerings make us different than other manufacturer sales representatives in the industry? We’re a one-stop-shop: Other sales representatives do not offer training on their products because they do not offer continuing support to the customer after purchase. We specialize in a very limited number of products so that we possess in-depth knowledge of each of our trusted solutions. What training format options does TechStar offer? Territory Training: Scheduled TechStar training courses are offered on a regular basis in Deer Park, Dallas, Corpus Christi, Oklahoma City and Tulsa. The dates and topics for these classes are set in advance, and they include our most popular classes that continue to be in regular demand year after year. Classes include hands-on learning and classroom instruction led by expert instructors. Onsite Training: TechStar also offers training classes that can be tailored to our customer’s needs and are taught onsite at the customer’s facility. Customers can schedule onsite training classes for any number of attendees at their own facility and personalize the class to their processes and applications. Justin McDermott has extensive experience in the fields of upstream oil and gas and the refining and chemical industries. He specializes in level measurement for liquid and bulk solid applications. Justin uses his technician experience with actual field applications to teach various level topics in the classroom as an instructor. Justin has a Bachelor in Business Administration from the University of Howard Payne. He has been with TechStar for 7 years. Emily has a strong background in customer service. She works closely with our customer base, corporate trainers and manufacturers in continuing to develop and expand our technical training offering.